The legend of RK Laxman shall live on till eternity and his Horoscope makes for a spectacle! 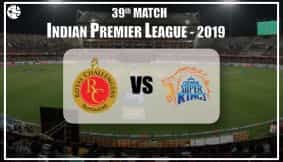 Rasipuram Krishnaswamy Iyer Laxman, much popularly known as RK Laxman is one of the greatest and most luminous names in the field of humour, cartoons, wit and sarcasm. Even a billion-word book would somewhat seem insufficient to describe the calibre and wonder of this man! His scathing satirical takes on the prevalent political and socio-economic systems and his masterly signature creation – 'The Common Man', depicting all the ironies, defects in the administrative and political setup of the country, problems faced by the average citizen, and all the things which gave us reasons aplenty to chuckle! RK Laxman shall forever be remembered as the wizard who personified and redefined sarcasm and humour and also the abilty to take on the mighty with the unseemingly powerful strokes of art and cartoons characters! The satirical genius may no longer be present amongst us in his mortal form, but his amazing legend shall always continue to give us the inspiration to question the flaws of the system and to look at life with a different perspective! Here, we present an in-depth astrological 'sketch' of the man who won the hearts of all with his sketches! As per RK Laxman's Solar Chart, the Sun is placed in the Sign of Libra with a retrograde Mercury. The combination of Sun and Mercury results into the formation of the wonderful Rajayoga – BudhAditya Yoga, and this Yoga is one of the greatest Yogas for extraordinary intelligence, sharp intellect, vast knowledge and great grasping powers. This yoga if it takes place in an airy sign, like in this case, then it denotes strong power of observation. This Yoga can be considered one of the points of origin for RK Laxman's brilliance. Retrogression of Mercury helped him become a good writer and gave him a very different perspective in various aspects of life. Mercury conjunct the Sun gives him a strong ability to communicate and the knack to present views in a creative and appealing way. Mercury is dignified in Libra, giving strong analytical and critical powers which is good for depth of thought, logical reasoning and conducting a detailed study of things. It would be interesting to note that there is a Parivartana Rajayoga between two key planets – Mercury and Venus! This blessed him with the outstanding and unique quality to express and communicate his thoughts through art and cartoons! Saturn and Venus are both placed in Virgo and this gave RK Laxman creativity and artistic tendencies. He was very versatile and a great cartoonist indeed. Mix of humour and sarcasm can be attributed to Venus (creativity), Jupiter (wit) and the Sign of Virgo being highly accentuated because of the Stellium of planets present therein. Moon in Cancer in its own sign gives much professional drive and ambition but can also be a controlling factor. He was practical with a sense of duty and responsibility towards his artistic work. Moon in Cancer also indicates flexibility and creativity. Such a well-placed Moon gave him a calm mind and great composure, which is a must-have for deep thinking. Mars in Leo made him active and productive. People with Mars in Leo can be very firm, steady, supportive, and determined. They really do know how to enjoy the good things in life and at work. All the above mentioned planetary factors play a great role in making RK Laxman the legendary Genius that he was. He shall always live in our hearts as that Genius and Artistic Wizard who gave us million reasons to smile and to connect with the reality with a humourous and satirical twist to it! 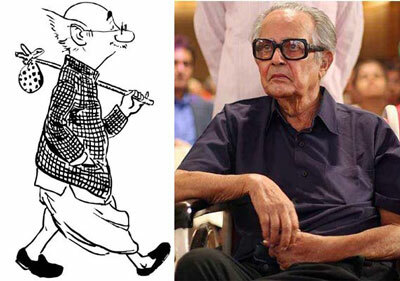 May RK Laxman's soul rest in peace and may his glory eternally enchant people.